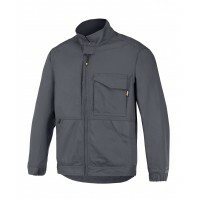 If you're looking for some heavy-duty workwear, Snickers Service Line Jackets are the ideal choice. The modern and functional Service Line fabric is easy to wash and take care of, meaning you have a minimal maintenance jacket that gives you all the functionality you need to get one with your work with ease. At Snickers Direct, we have a range of Snickers Service Line Jackets for sale to suit you - take a look today! Snickers 1673 Service Jacket Description of the Service JacketMake a company statement. 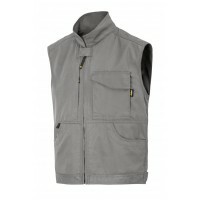 Wear th..
Snickers 4373 Service VestDescription of the Service VestFreedom and comfort! Body warmer in contemp..
Snickers Workwear 1512 DuraTwill JacketModel: 1512 SnickersDescription of the Snickers 1512 JacketDu..
Snickers Workwear 1513 Service Line JacketModel: 1513Description of the Snickers 1513 JacketLooks as..